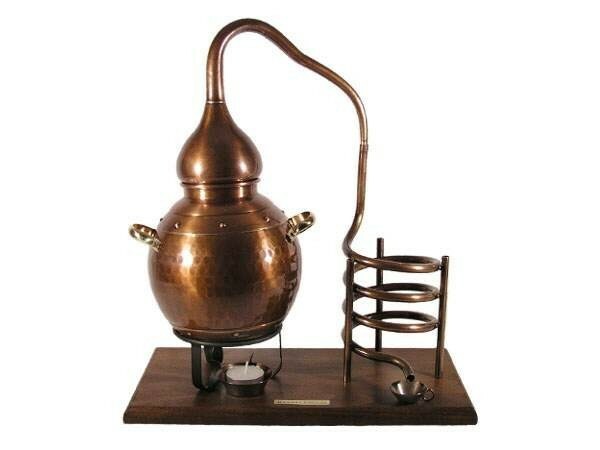 Lovely distillation equipment for decoration, not functional - dark antique oxidation, coated with a protective lacquer – perfect size for display windows. 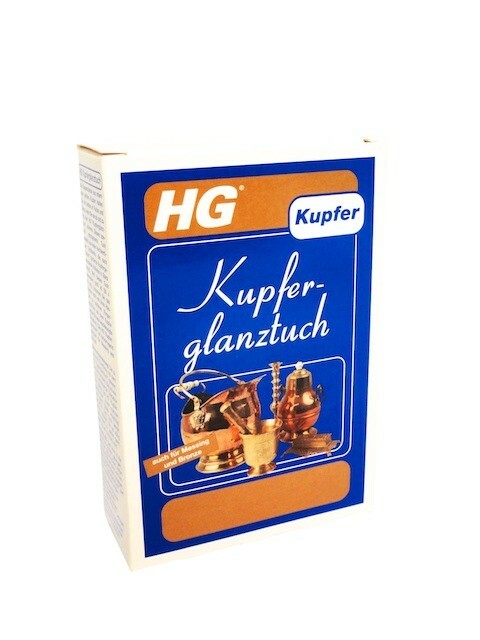 Decorative still from the "CopperGarden®" forge. This still, which is forged in the traditional Arabian design, is a classic, premium quality work of art. 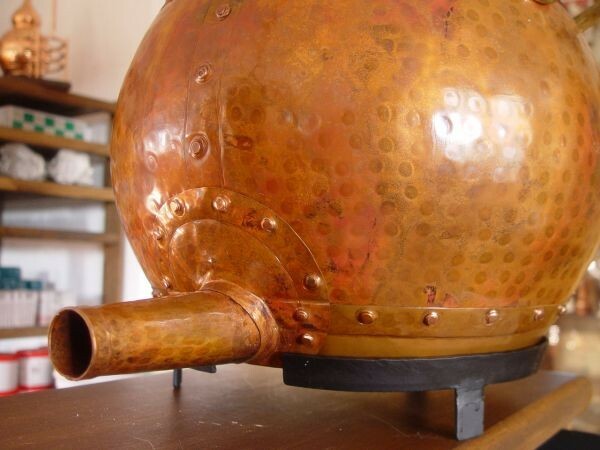 For the manufacturing process a genuine, functional CopperGarden Arabia still is used and defused by drilling holes into the boiler and condenser – then burnt to attain the antique finish, oxidized with acid and coated with a protective lacquer. 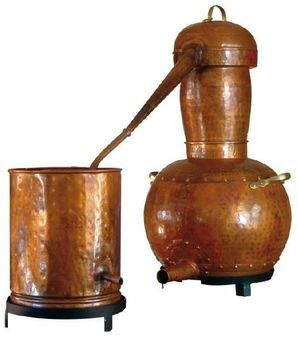 The "CopperGarden®" decor stills are all carefully and evenly hammered by hand and finished with a distinctive, rustic riveting. Even more attention is paid to finishing the attractive appearance of the decorative stills. 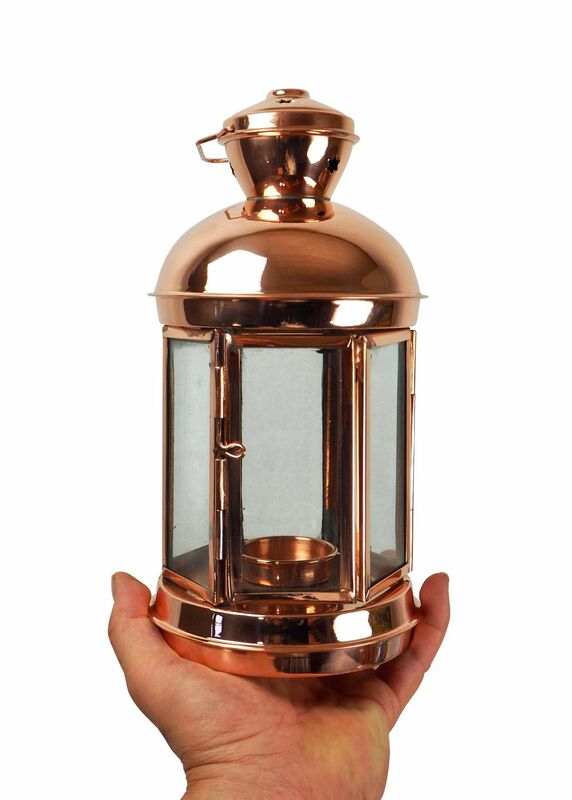 Please note that we usually forge our decor stills after receiving your order and that there could be a delivery time of up to 8 weeks. If you are in a hurry, please get in touch with us – as a rule we always have a few lovely pieces ready for you in our showroom. References? 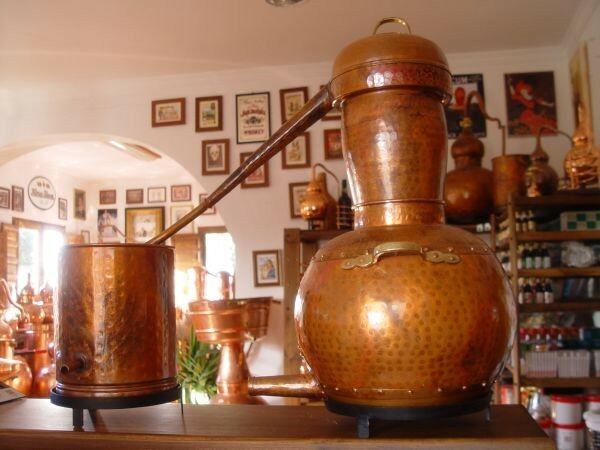 We have quite a few for you – the easiest thing to do is to watch the film „The Perfume“. Our stills have been crafted and finished using the same methods like those in the film. 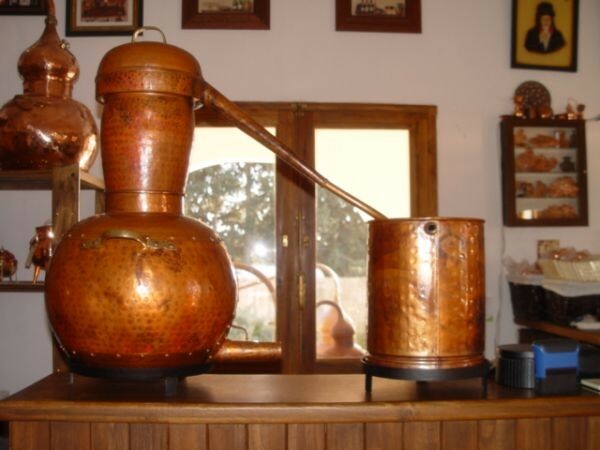 All the copper stills which can been seen in the film are produced in our forge. An identically constructed model of this Arabian décor still can be found also in the Nordhäuser Kornbrennerei Museum or in the New York branch of the perfume chain LÒcittane. 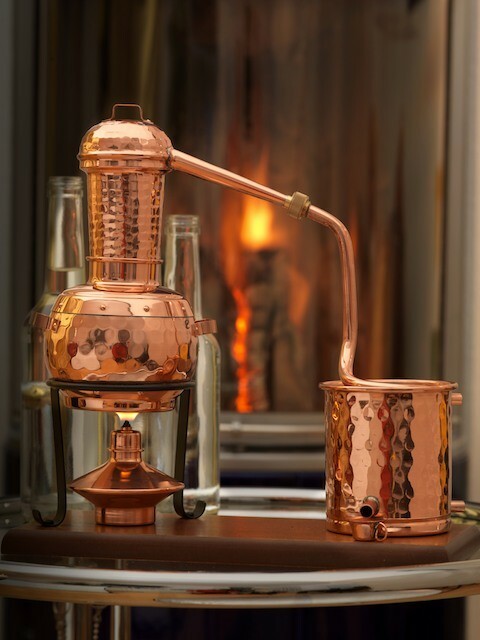 We have exported similar decorative stills worldwide and it is our pleasure to offer you pieces individually forged to your specifications when you are looking for something special. An email is sufficient, and we would be happy to provide a tentative estimate for your personalized still.